What does five year’s worth of looking inside consumer’s payments preferences show us? Well, for one thing, that cash isn’t dead and won’t be going away anytime soon, despite the endless number of innovations that have emerged over the years to eliminate the need to use physical currency. That’s the perspective of Scott Schuh, director of the Consumer Payments Research Center and an economist in the research department of the Federal Reserve Bank of Boston. And, that perspective isn’t drawn from simply reading the consumer payments tea leaves but by examining the results of the Fed’s annual survey of consumer payments preferences. The recently concluded Fed’s Survey of Consumer Payment Choice is the fifth such study and is, therefore, one of the most comprehensive and consistent studies of consumer payments behavior to be found. So what are some of the big insights from the Fed’s work? “The substitution that seems to be by far the biggest change in the payments landscape has been a shift from checks to debit and electronic payments like ACH,” Schuh said. The transition from checks to debit seems a natural progression – and one that seems a long time in coming. But when it comes to ditching cash for debit or credit payments, well, there seems to be an element of having the physical currency that consumers appear to still be attached to. Cash is easily and widely accepted. And, since plastic cards can mask just how much is available to spend at any given time, consumers always know how much they have left when using cash. But coming back to the five-year picture, Schuh remarked that what was unique about the five years that the Fed’s survey covered is that it paints two pictures. First, it covered a time when the United States was both plunged into and then recovering from the financial crisis; and second, it provides some important insights into how those events impacted consumer payments behavior following the financial recovery. “The financial crisis is now pretty far in the past but it had a very, very big impact on cash, and credit in particular. It really has taken years to see how cash has responded to that remarkable — hopefully once-and-a-lifetime event. …And the picture is very simple,” Schuh said. And so this is where the cash picture starts to emerge. Perhaps, in response to the financial crisis, cash payments made in 2008-2009 skyrocketed, and payments by credit card sharply declined. And over the four years since 2009, Schuh observed, there’s been a slow, steady stabilization of the proportion of cash, debit and credit back to almost where they were before the financial crisis began. Despite how the financial crisis shook the market, and how it changed consumer spending during that time — it didn’t seem to change much about consumer payment preferences. Cash still ranks above credit, overall, the survey results conclude. And although five years is still too early to be considered a trend in true economic terms, Schuh said, it’s helping to flag what’s changing in terms of consumer behavior. “It is true that over the last couple of years the share of cash has gone down and the share of credit has gone up but that cash share as of 2012 was still substantially higher than its share in 2008. So there really hasn’t been a reversal of preferences. It’s still the case the consumers appear to use debit first, then cash, and then credit third in their monthly payment spending,” he said. The outlook, however, gets a little more muddied when mobile payments are thrown into the mix. Not only are most of the technologies too new to gain a comprehensive picture, but Schuh said there’s an element of technical education when surveying consumers on the topic. Mobile payment trends are leading the discussions about what’s next in the payments industry, but it seems consumer conversations about the topic aren’t moving at the same pace. “[Mobile payments] are the types of payments that have required us to do a little bit of consumer education as we’ve done the survey. We’ve had to work hard to help people understand the questions we’re asking,” Schuh said. Because not all consumers are clear whether using a mobile phone to shop online is the same as using their mobile phone to make a payment., questions about mobile payment options can be easily misunderstood. “It has taken us several years to tweak the questions in a way that measures things properly and we’re finally starting to feel pretty comfortable with it,” Schuh said. Data the Fed reviewed only goes through 2012, but preliminary looks into the data through 2014 shows an uptick in consumer’s acceptance of new mobile technologies. According to the Fed data, that breakpoint looked to be around 2011. However, because there’s no single interpretation for how mobile payments is defined, those numbers may be a little squishier than they seem on first glance. In the case of the Fed’s consumer survey, a payment was only defined as mobile if consumers were making a payment using a phone. It wasn’t important for purposes of the survey how or where they were making that payment. Another area that doesn’t seem to have a set standard is consumers’ views on security. Source: 2008–2012 Survey of Consumer Payment Choice; 1983–2010 Survey of Consumer Finances. That suggests, Schuh said, that when security is working as expected, consumers don’t give it much thought. “I think I can say preliminarily, the results show that consumers really do care about the security of their financial wealth and this is an important determinant of why they choose to use cards,” he added. Technology and innovation aside , Schuh said there are some definitive lessons that the entire ecosystem can take away from the study. And for mobile payments? It’s all about technology. After all, what’s being done in the payments industry can be viewed as innovative, but to some degree it’s not necessarily reinventing the wheel, Schuh observed. It’s providing consumers with a better option to deploy payments technologies that exist — but in a more convenient, faster, and more secure manner. 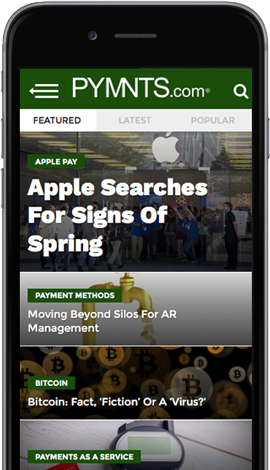 “A lot of what we see in mobile payments is really just the old method of payments being used in a different way on a different technology. Apple Pay is a great example of that. Apple Pay…is based on credit cards. Credit cards are not new. They’ve been around for half a century,” Schuh said. “Now what Apple has done, which they tend to do, is find really unique and convenient ways of combining features that make it a really nice experience for consumers, but it’s still a credit card,” Schuh said. And, that goes back to consumer spending habits and payment preference. Schuh believes that’s what the industry needs to dig into more to gain a full picture of how habits and preference influence what payment option consumers choose. “So the economic question there is: does a consumer want to buy things but buy now and pay later. That’s the economic proposition that hasn’t been given as much thought by the payments industry,” he suggested. Based on Schuh’s observations from the survey results and a preliminary review of recent data, it’s clear that the characteristics of cash still appeals to consumers. Consumers like the idea of knowing how much they have available and knowing it’s widely accepted no matter where they travel despite the considerable downsides of cash – when it’s lost or stolen, well, the consumer is out of luck. That’s where Schuh believes there’s room for additional study and innovation. “Interlinking consumer behavior and economic propositions and payment choices would be a fruitful area to explore,” he said.